Nowadays, YouTube and Instagram are both very popular social video sharing sites which allow you to post your life with others. Instagram only supports MP4 video format so you can’t upload YouTube videos directly to Instagram because the YouTube videos are in web formats which can't be recognized by Instagram. In that condition you have to convert those YouTube videos to MP4 videos, and trim them up to 60 seconds, then you can upload YouTube videos to Instagram. There are several helpful apps to put YouTube videos on Instagram available in the market, and in this article, we're going to introduce the top ones for you. Using this app to post YouTube videos on Instagram is very easy, and allows you to directly share YouTube videos to Instagram website. 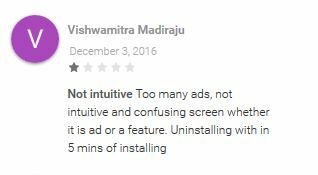 You just need to install the app, and then start it. Find out the YouTube video which you like to share and then tap on Share via Instagram button. Now the YouTube videos will be put on Instagram. 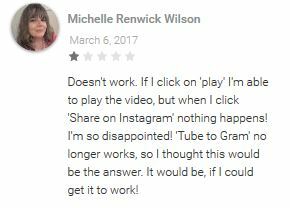 Review: This app doesn’t work for me. When I clicked on share button nothing happened in the app. VidCompact is a video converter app to share YouTube video on Instagram quickly. This app can't let you download YouTube videos but it enables you to convert YouTube videos in the Instagram supported format, and then share these videos to Instagram. Mainly this app allows you to compress videos, cut videos, and convert videos or crop videos as per the desired length for Instagram. Review: This video converter app can convert videos without any issue but it convert videos in very less speed. VivaVideo is a free video editor app to share YouTube videos on Instagram directly on Android devices. This app is available there in the Play Store for free. 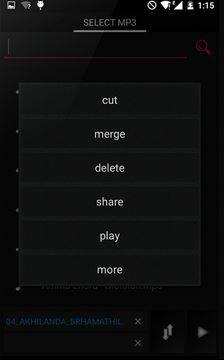 This app allows you to trim, edit, and crop or merge YouTube videos. 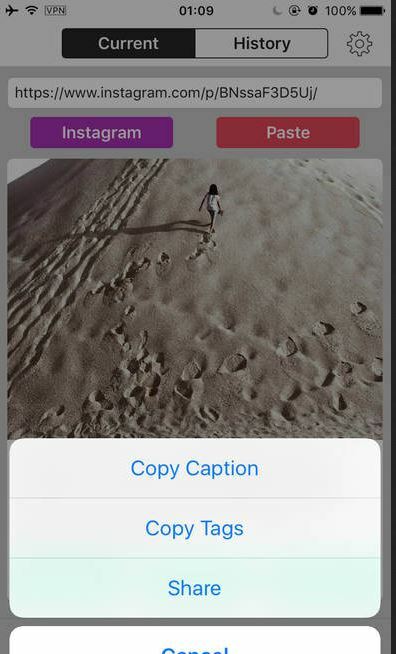 Once your videos are ready as per your need you can share them on Instagram in just one tap. This app also provides a slow motion for you to edit your video. 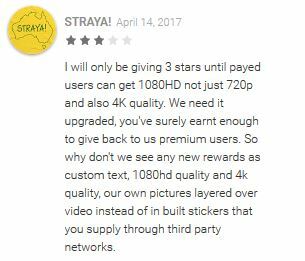 Review: I want to give it 3 star because this app is not providing 1080P and 4K video resolution conversion even for the paid users. VideoShow is also an app to share YouTube videos to Instagram. This app can’t help you to download YouTube videos but it can help you to edit your downloaded YouTube videos to share on Instagram. It is totally free and there is no limit on the duration of editing videos. This app can trim and edit videos to make them in Instagram supported formats. 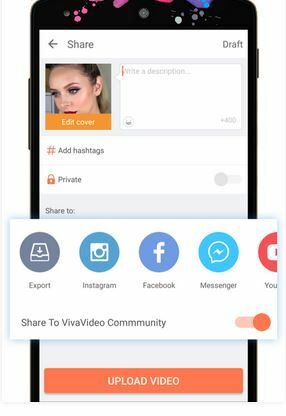 This app allows you to share your videos on mostly all famous social media sites like WhatsApp, Instagram, Facebook, etc. 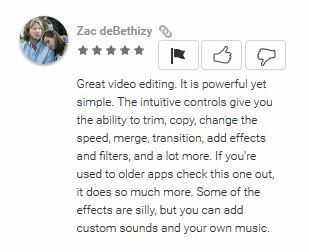 Review: It’s a great video editing app for android mobile devices. 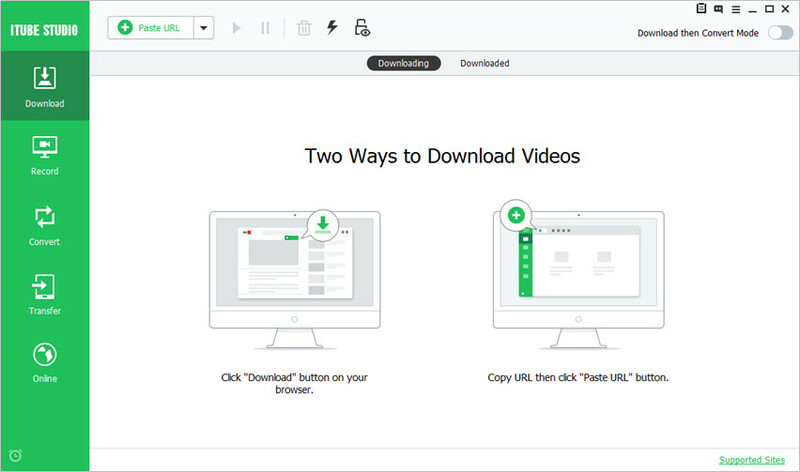 You can easily trim, copy and crop videos. Easy Video Cutter is a free app to post YouTube videos on Instagram. This app also doesn't allow you to download videos from YouTube. Video Cutter app can easily trim, cut or join more than one video in one clip. You can easily convert videos to MP3 and MP4 on your Android mobile itself. This app allows you to share videos by email, YouTube, Instagram, Twitter or Facebook in just one tap. 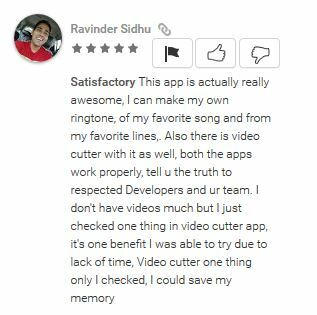 Review: I am not happy with this app it only allows you to cut your videos length up to 20 seconds only. Video Audio Cutter is a very simple and easy-to-use app. This app has only one feature that it can trim your videos to post on Instagram. This app allows you to cut both audio and video files. So before using this app you must have your video in your local SD card downloaded from YouTube in the MP4 format. Review: This app did what it said for me. Now I am able to make my own ringtones and cut videos. Tube2Insta app to share YouTube videos on Instagram is available in the Play Store, and claims to have the function of sharing YouTube videos to Instagram. This app allows you to convert YouTube videos to Instagram automatically and then share those videos to Instagram. Review: I like to use this app but it freezes while using it so need some fixes. VidShow is a powerful app to share YouTube videos on Instagram. This app has very cool features available in it. You can combine video together, trim YouTube videos to post on Instagram, convert videos to MP4 format or merge audio and video. This app allows you to adjust the volume of your videos and you can change the resolution of the video to make them smaller to post on Instagram. You can quickly share the output video on Instagram or YouTube with this app. Review: This app worked for me so I think this app is good to use. Video Maker of Photos with Music & video editor app is a perfect video editor app and allows you to post YouTube videos to Instagram. This app can't be used to download YouTube videos but it allows you to make videos to share on Instagram, Facebook, YouTube and other social sites. This video editor app for Android helps you to edit videos in minutes on your Android phone. With this app, you can convert YouTube videos, crop videos, and trim videos or add audio to a video. Review: Whenever I try to do something it starts loading and never stop. If you are looking for apps to post YouTube videos on Instagram, then this video editor app can be the best one for you. 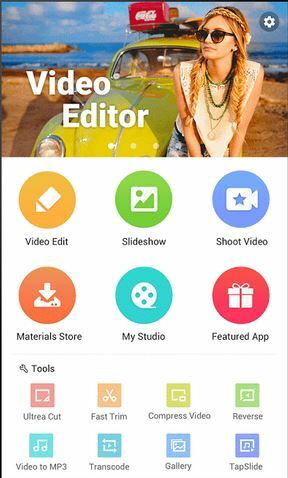 This app enables you to edit the videos with several helpful features. It allows you to edit video, convert to MP3, grab photo and more within the app. 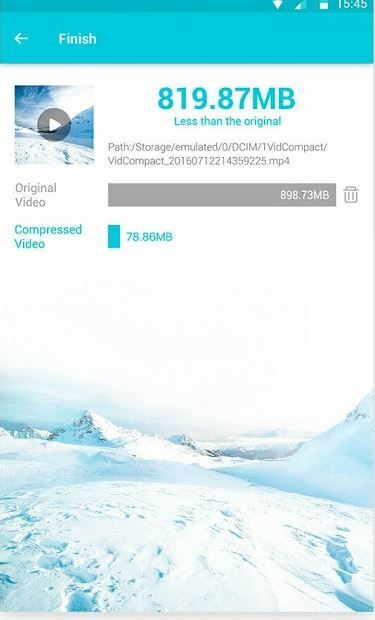 However, you'll need to download videos from YouTube to your computer first, and then post this YouTube video to Instagram with this video editor app. Review: This app is worst for me. Too many ads are there while using it even you can’t understand which is the ad and which one is the feature. As mentioned above, most of the apps can't help you to download videos from YouTube, but only provides the editing feature. Therefore, we'll share a offline YouTube video downloader program to help you download YouTube videos at first. iTube HD Video Downloader is the best among all the video downloaders, and it can help you to download and transfer YouTube videos to your Android devices without switching to another transfer program. iTube HD Video Downloader YouTube to Instagram video downloader is available for both Windows and Mac computers. You can directly download YouTube videos using this software and convert the video to Instagram supported formats, and then transfer the downloaded videos to your mobile directly. 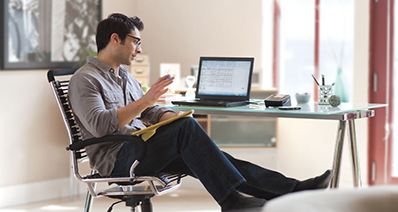 It can record your computer screen or video chat calls with high video quality. With the help of this offline YouTube to Instagram program, you can get the work done easily. 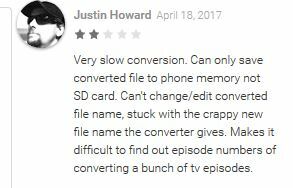 First of all, you should install the right version of iTube HD Video Downloader on your computer, and then start it. 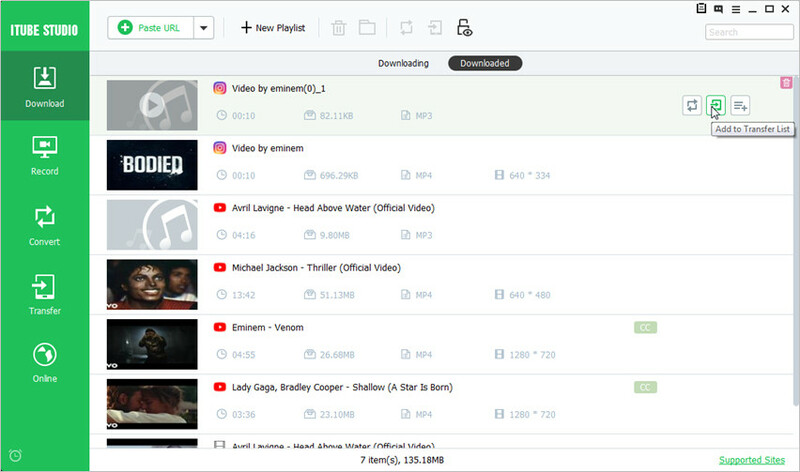 The program will show you the main interface of downloading video. Now go to YouTube, and find the video you want to download. Then copy the video URL in the address bar. In the iTube HD Video Downloader interface now click on the “Paste URL” button at the upper left corner of the main interface. The program will detect the copied URL automatically, and display the pop-up dialog for you to choose the video quality you want. 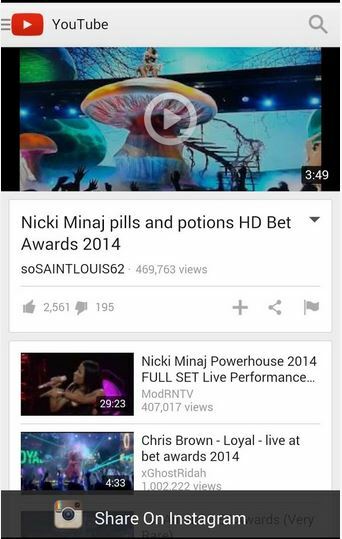 When the downloading process is finished, you can now go to the “Downloaded” tab to find the video you need. Here click on the “Add to Transfer List” at the right side of the video, and you'll ve ready to transfer it. Now connect your mobile device with computer and iTube HD Video Downloader will detect it automatically. Now click on the “Transfer” next to the video. This video will be transferred to your mobile device now. Then you can post it to Instagram without any issue. In this article, we've introduced the top 10 apps to put YouTube videos on Instagram. 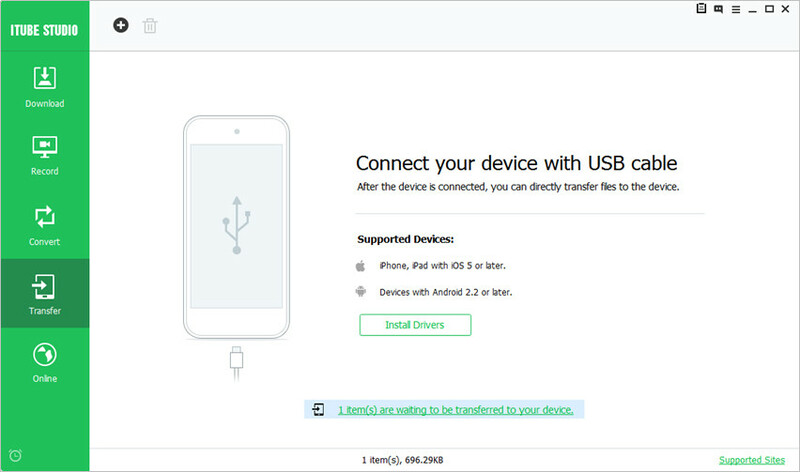 These all apps are very easy to use for Android mobile devices, but you'll need to download videos from YouTube first and transfer it to your mobile. If you want to download YouTube videos easily, you can take advantage of iTube HD Video Downloader, which is a helpful program for you to download, convert and transfer YouTube videos to your mobile for Instagram with easy steps.